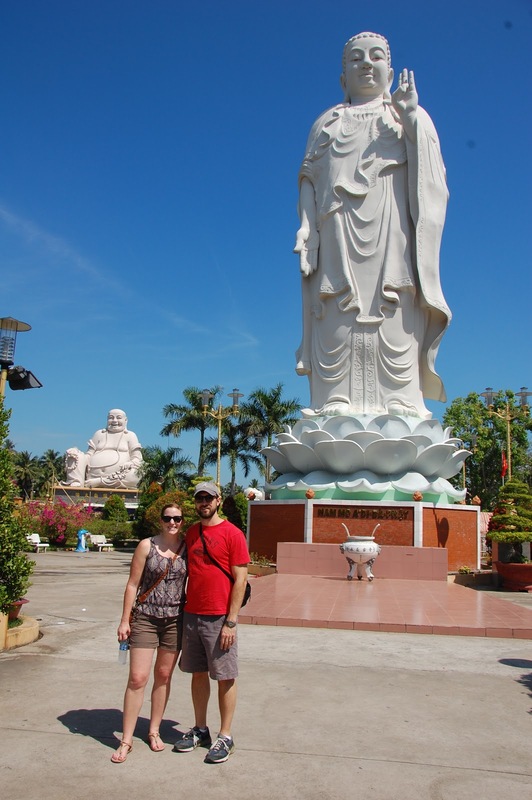 From Ho Chi Minh city we took a day trip to the Mekong Delta region. 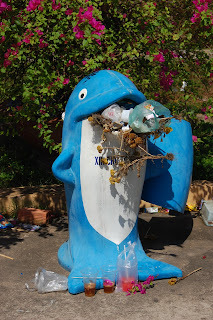 This was one of my favorite places in south Vietnam. It provided a small glimpse into the lives of the families that live and thrive off the river. 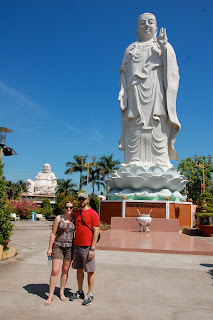 Before hitting the river we did stop at a temple to check out some large Buddha statues. First stop a coconut candy making place. The Mekong Delta is saturated with coconut trees and this is just one of the ways they try to make some revenue with the natural resource. 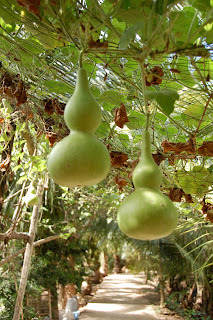 A fruit I have never seen and still don't know what it is. Anyone? We finished by having some river fish and watching some foreigners drink snake blood. It was crazy the snake came out alive and the chef straighten it out and cut it's throat and drained it into a cup. Just writing that made me gag a bit...GROSS. If you are down in the capital city of Ho Chi Minh city, a day-trip to experience the Mekong Delta is a must. Beautiful landscape, but also a trip back in time.